The hectic lifestyles that so many of us lead often leave us yearning for a break. A getaway from it all. A place where we can retreat to recharge and remember all the things we love and appreciate in our busy lives that we’ve started to take for granted. 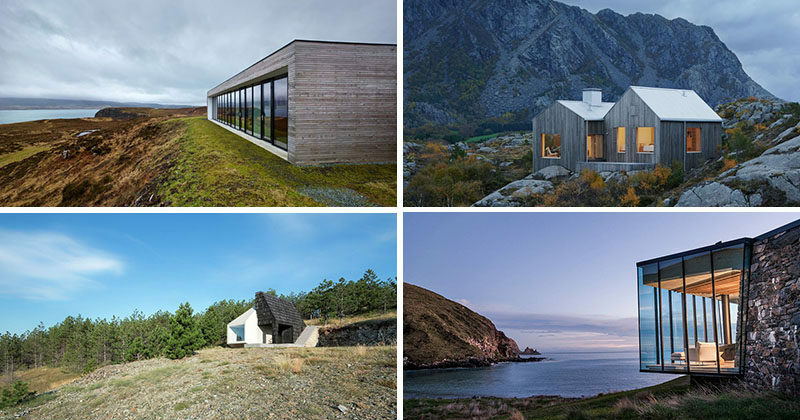 Here are 13 examples of homes and getaways where people go to get a break from the rest of the world, slow down, and just be. 1. 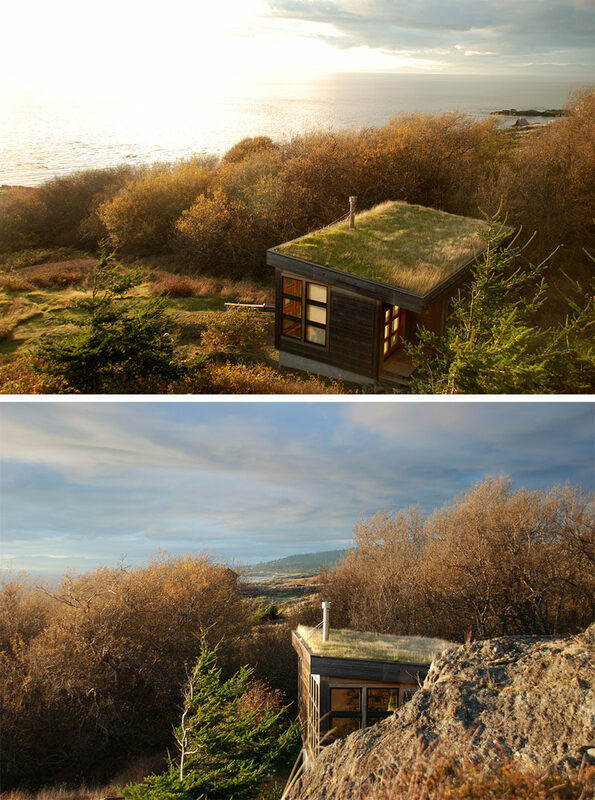 Positioned in an isolated part of the San Juan Islands in Washington State, the Eagle Point cabin, designed by Prentiss Balance Wickline Architects, is secluded and cozy – two of the most important qualities in a remote getaway. Eagle Point Cabin by Prentiss Balance Wickline Architects. Photography by Michael Skott. 2. Tucked into a forest in Normandy, France, is this modest house of comfort and privacy. The house is surrounded by all sorts of vegetation that create the feeling of really being away from the rest of the world. See the full project, here. 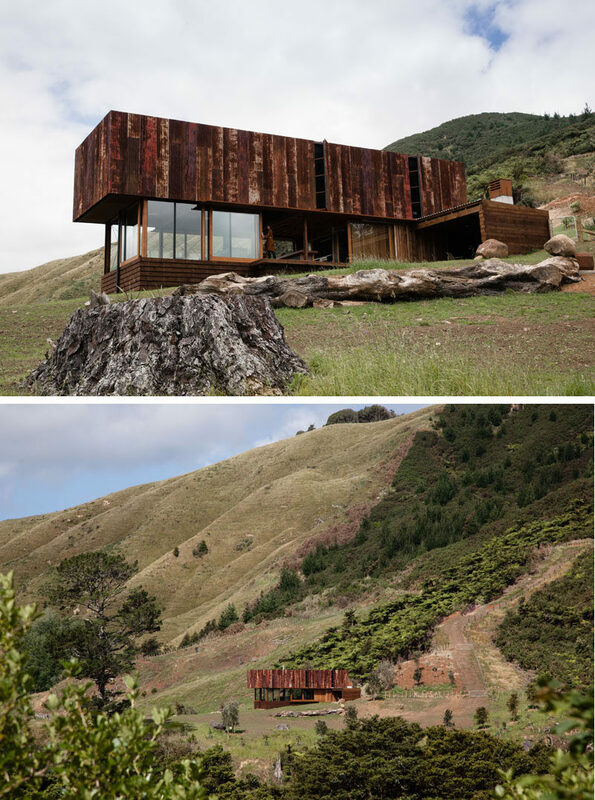 Black Wood House by Marchi Architects. Photography by Fernando Guerra/FG + SG. 3. 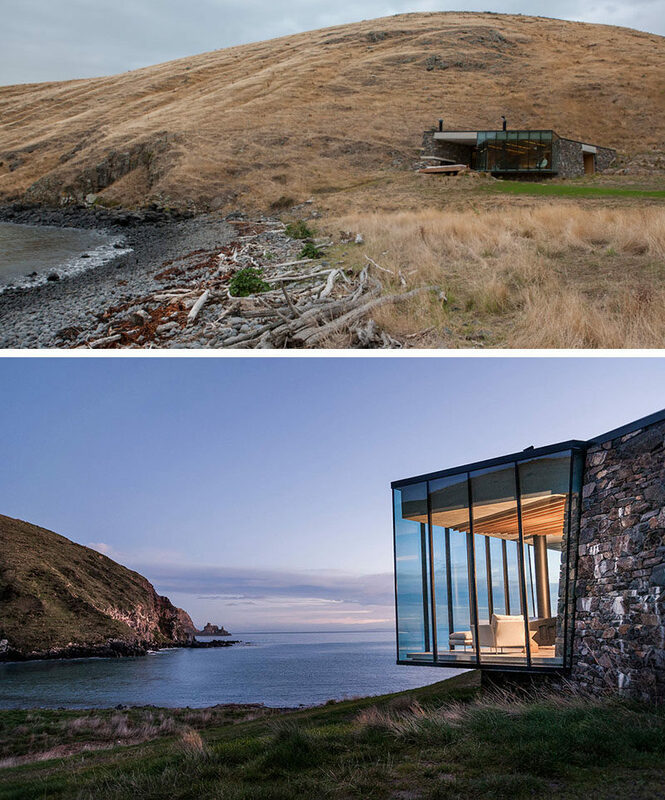 Hidden in the hills along the New Zealand coastline sits this beach house designed by Patterson Associates. Isolated from the rest of the world, the home is complete with on-site water collection and wastewater treatment, this secluded beach house has everything you’d need for a relaxing getaway. See the full project, here. Seascape Retreat designed by Pattersons Associates. Photography by Simon Devitt. 4. This vacation home was built to be a place to retreat to and relax in for a couple who work in the film industry. The house is located on 20 hectares of farmland in New Zealand’s Coromandel Peninsula and allows the owners to be self sufficient. See the full project, here. Hillside home by Herbst Architects. Photography by Lance Herbst. 5. 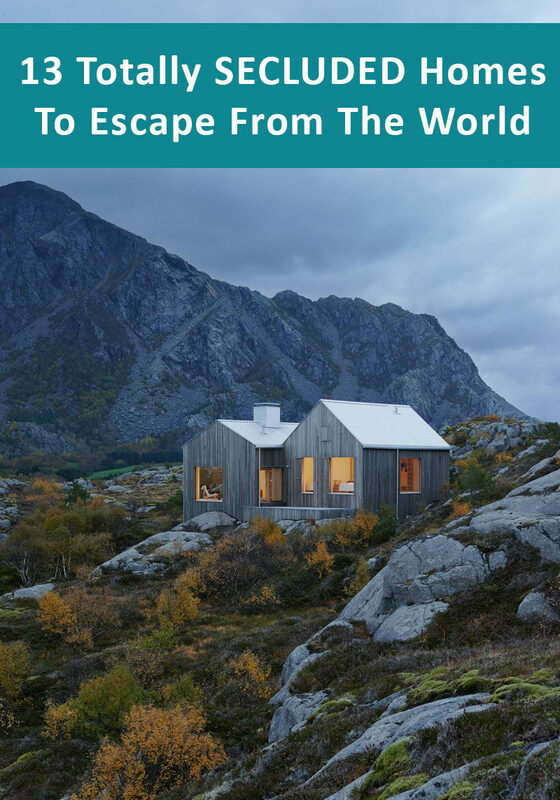 This cottage sitting on the island of Vega in Norway near the polar circle, is an ideal place to get away from the hustle and bustle of everyday life. See the full project, here. 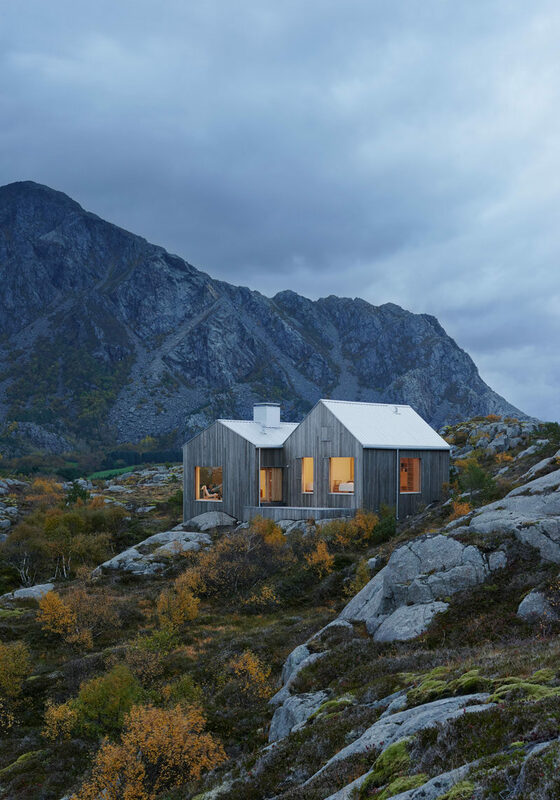 Small cottage by Kolman Boye Architects. Photography by Åke E:son Lindman. 6. On the coast of France is this secluded house. With floor to ceiling windows along the back of the house and uninterrupted views of the ocean, this house provides an ideal escape from hectic everyday living. See the full project, here. ALON House by AABE. Photography by Jean-Luc Laloux. 7. 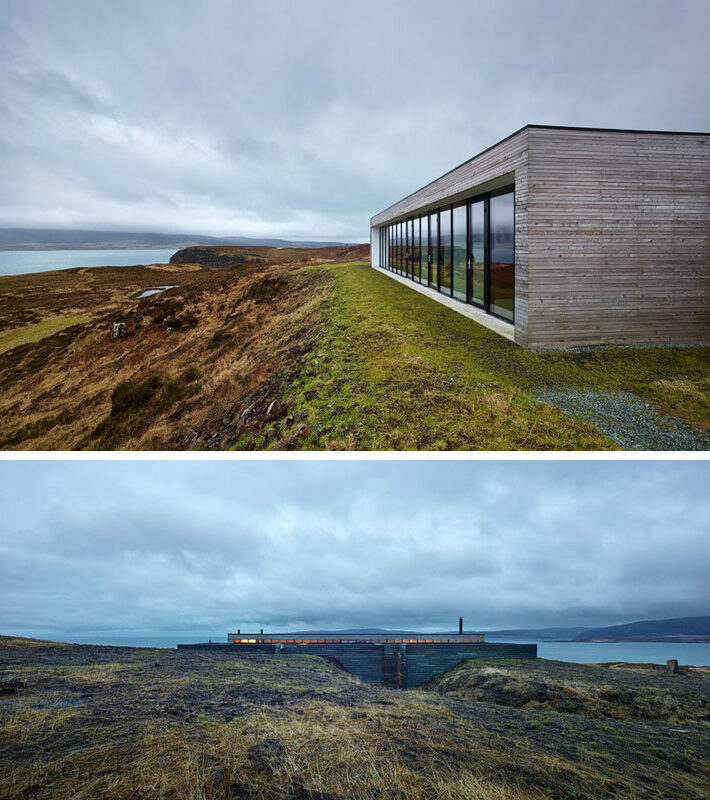 Overlooking Loch Dunvegan in Scotland is this secluded home designed by Dualchas Architects. 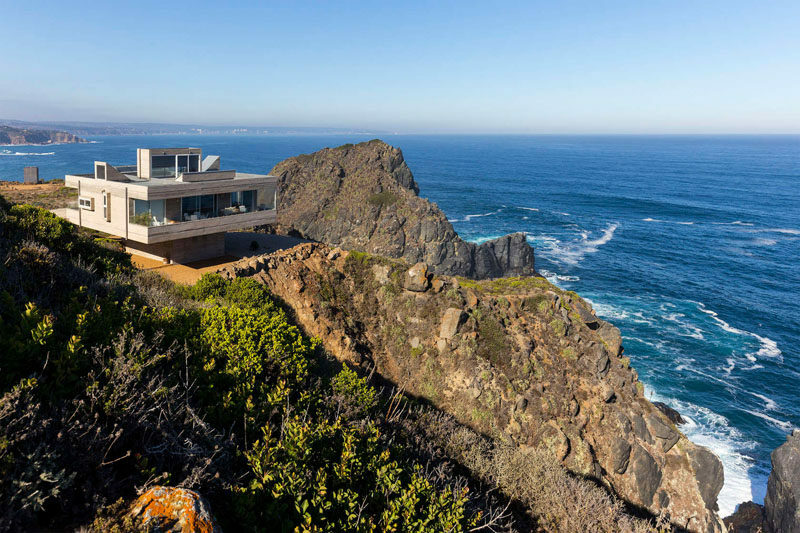 A wall of windows provides incredible views of the ever changing landscape and its position among the rocks make this house a super private escape. See the full project, here. The Cliff House by Dualchas Architects. Photography by Stephane Toussaint and Andrew Lee. 8. 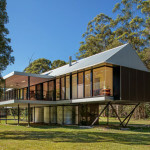 The Storm Cottage by Fearon Hay Architects has been designed to be completely off the grid. Located in a remote location on Great Barrier Island in New Zealand, this secluded place would be great for a rejuvenating retreat. See the full project, here. Storm Cottage by Fearon Hay Architects. Photography by Patrick Reynolds. 9. Made from local materials and built to be as non invasive as possible, this cottage in Ontario, Canada, offers beautiful views and a place to escape from everyday life. See the full project, here. 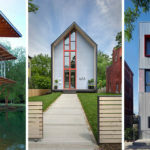 SHIFT Cottage by Superkül Inc | Architect. Photography by Tom Arban. 10. 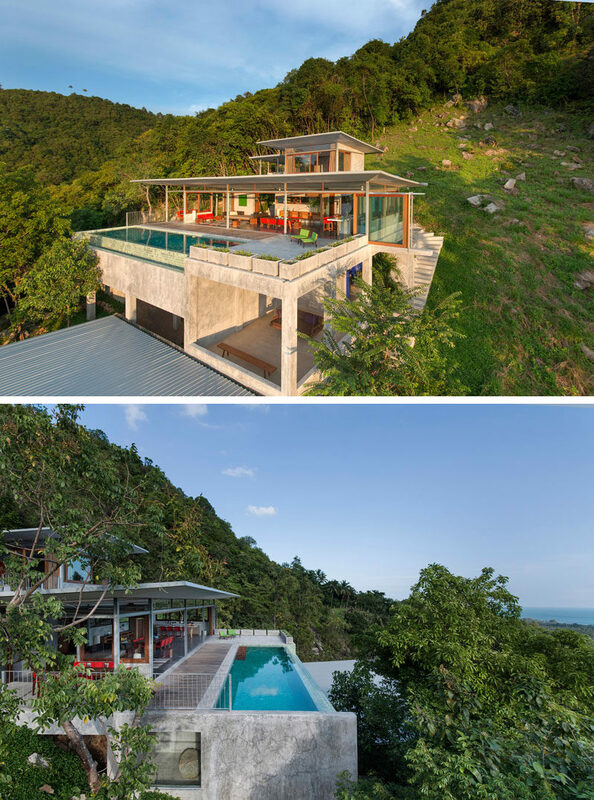 Designed to be an escape from a hectic life in the city, this five story house in Koh Samui, Thailand, designed by Marc Gerritsen, has incredible private views. The natural elements throughout the home help to create a calm and relaxing atmosphere, perfect for getting re-grounded after spending time in a busy city. See the full project, here. The Naked House by Marc Gerritsen. Photography by Marc Gerritsen. 11. 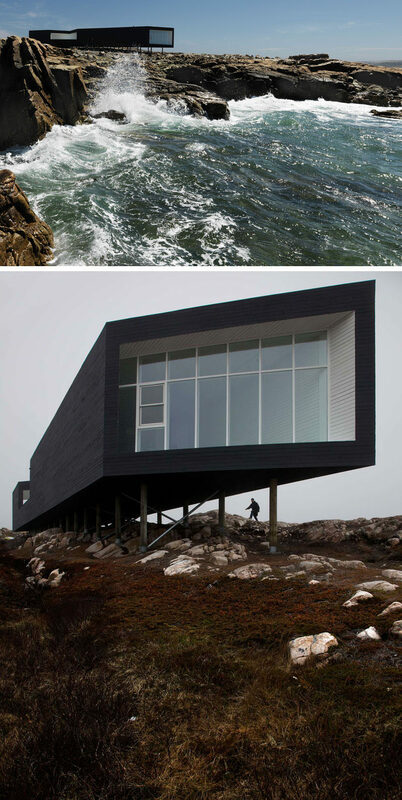 Off the coast of Newfoundland, Canada, on a tiny island called Fogo, sits a studio created by Saunders Architecture. Designed to mimic the seasons, the linear structure is perched right on the edge of the water to capture the fullness of the open ocean and provide a place completely free from distraction. See the full project, here. Fogo Island Studios by Saunders Architecture. Photography by Bent Rene Synnevag. 12. 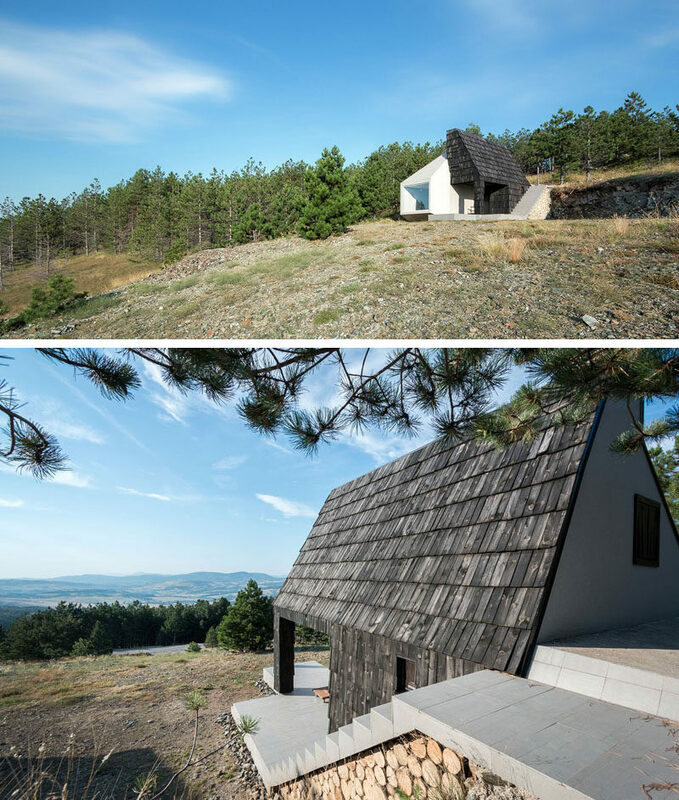 Tucked into the slope of Mount Maljen in Serbia, it’s unlikely you’ll be found in this cozy home. See the full project, here. Mountain home by EXE Studio. Photography by Relja Ivanic. 13. Perched above a steep cliff with views of the ocean, this secluded home in Tunquén, Chile, was designed by Gubbins Arquitectos for some clients who wanted an escape from city life. See the full project, here. Casa Mirador Gubbins Arquitectos. Photography by Marcos Mendizabal.